McALLEN — Upon authorities detaining a man at the U.S. Mexican border for attempting to smuggle 16 firearms into Mexico, at least four were discovered to belong to a Mission man. The federal trial of the Mission man, 32-year-old Lombardo Bazan, began Tuesday nearly two years after the investigation launched. Bazan faces four charges in connection with gun purchases made for other people. Federal agents began investigating him after another man was detained in January 2016 at the Hidalgo Port of Entry for trying to enter Mexico with nearly 20 firearms in his vehicle. Four of those firearms were purchased by Bazan, according to the criminal complaint. It was nine months before authorities interviewed Bazan in relation to the firearms investigation. Bazan didn’t deny purchasing the four firearms, all 9mm Glock 42s, saying he had traded them for a 1993 Ford F-150 pickup truck. Records, however, show the vehicle was purchased on May 19, 2016, for $800. 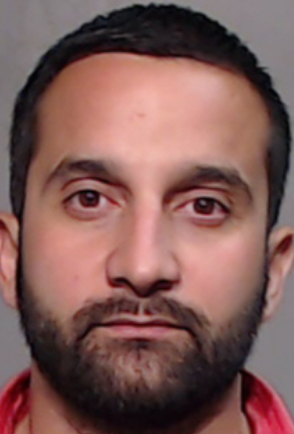 In a separate state-level case, Bazan pleaded guilty to a negligent homicide charge related to a November 2002 car crash that left a 74-year-old Winter Texan dead. He served 10 years community service as part of his plea agreement. Jury selection in Bazan’s federal trial was held last Tuesday and opening statements in the case were set for Wednesday, according to court records. The trial is expected to last anywhere between two and three days.